Synopsis: A middle-aged butcher and a school teacher who have given up on the idea of love, meet at a dance and fall in love. Did You Know? This was the very first Best Picture winner to be based on a television program. 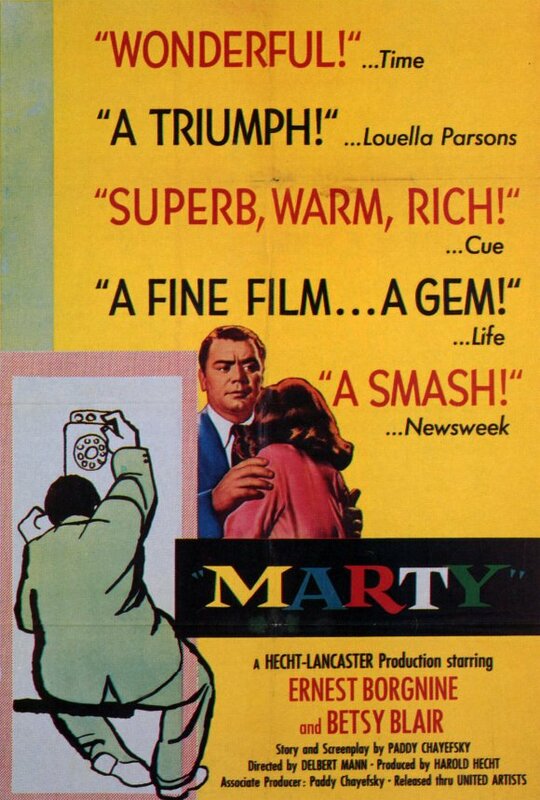 Quotables: MARTY: You don’t get to be good-hearted by accident. You get kicked around long enough, you become a professor of pain. For the life of me, I can’t remember why I disliked this film so much the first time I watched it. It’s such a sweet little film with two endearing leads, and it has a great message about self-worth. Ernest Borgnine and Betsy Blair are a delight.